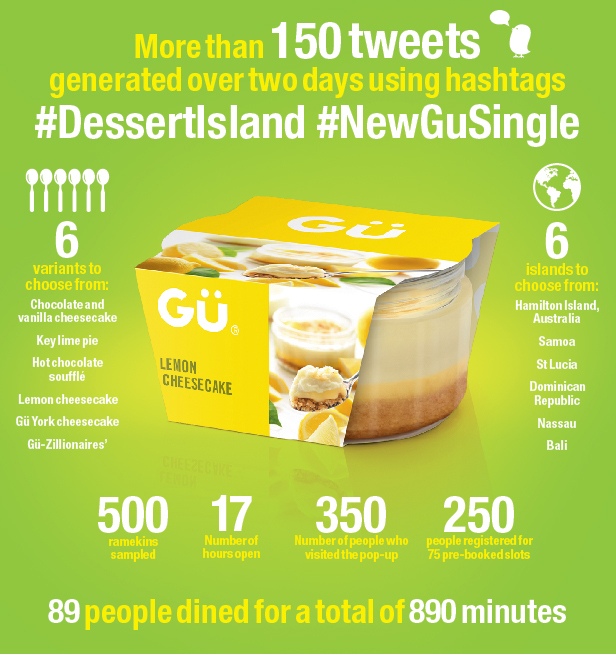 Dessert brand Gü Puds celebrated the launch of its single-serve range by translating the concept of 'me time' into experiential activity. 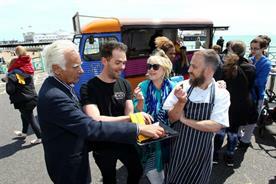 Collaborating with agency Mischief PR, Gü opened a pop-up in London's Soho in May, offering consumers the chance to sample the new ramekin product amid their own 'dessert island'. 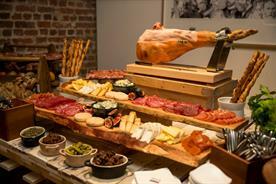 Guests entered the venue and were guided to a private space downstairs. Once they had selected a pudding to sample from the six on offer, they could immerse themselves in a desert island scenery of their choice. Giant concave screens displayed images of desirable destinations such as Hamilton Island in Australia and the white sands of the Caribbean. Serene music played in the background while the castaways enjoyed the product and some calming time to themselves. 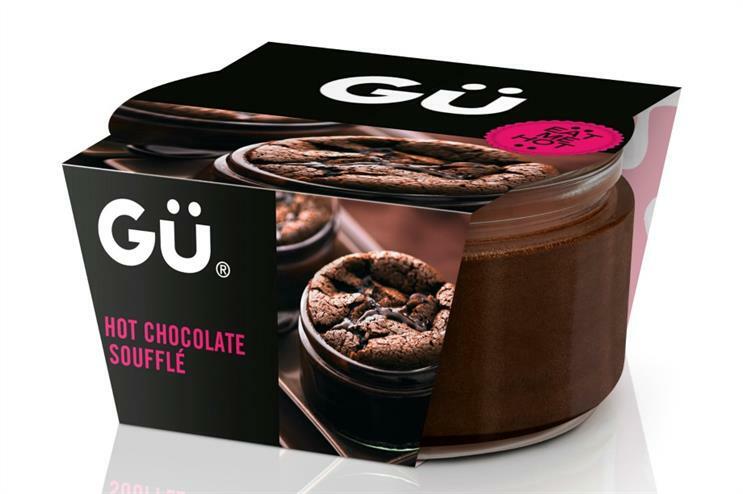 Chris Heyn, head of brand at Gü Puds, said: "Our research found that more than a third of Brits dream of escaping to a desert island for some me time. We felt that was a perfect theme for our single-serve restaurant. "The event was a great success. 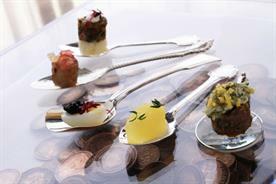 Not only did it drive trial, but it also brought to life indulgent experiences with the product at its heart. It was great to see the concept resonate with audiences."